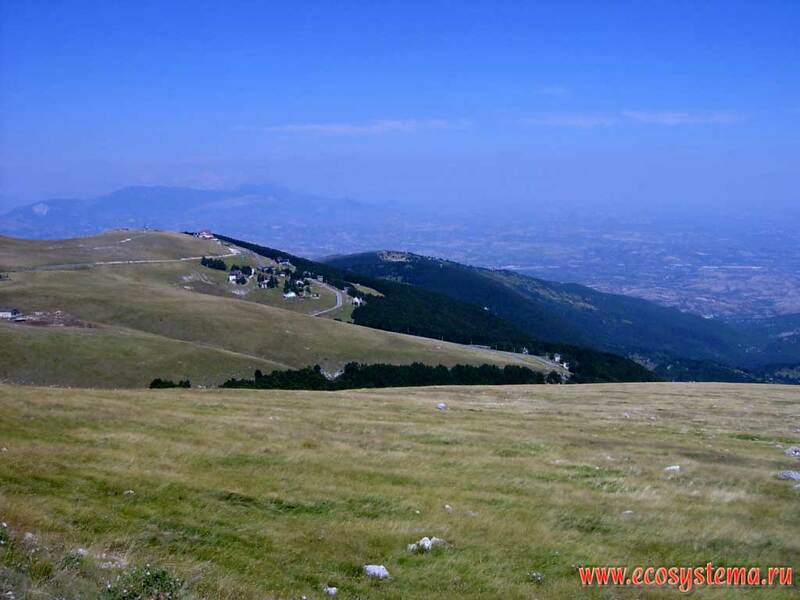 A subalpine meadows on smoothed mountain tops of della Maiella (Majella) mountains, in the place of winter ski slopes in La Maielletta resort. Height of about 2000 above sea level. In the distance - the Adriatic Sea, the area of the city of Pescara.